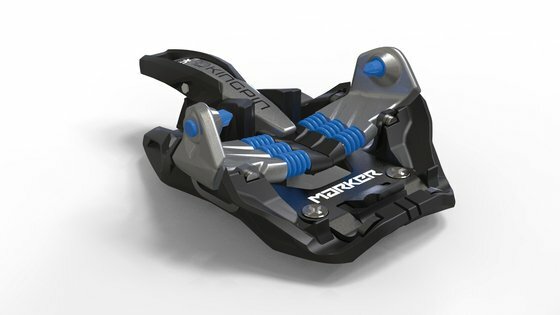 Kingpin Tech Toe with Sixpack Power Springs  The PinTech design on the KingPin toe piece promotes an ergonomic rolling of the foot and the most direct possible connection to the ski. Six steel springs capture the energy optimally. Individually adjustable positioning blocks make it quick and easy to step in no matter what the conditions. Adjustable Easy Step-In  Individually adjustable boot stops position the boot in the right place and make it easy to step in, regardless of the brand or model of boot (set the exact configuration using the included adjustment gauge). Simply push the toe of the boot up to the boot stops, apply pressure to the toes and you're already finished. The pins click securely into the inserts. The system will then only open if the pre-configured release force is produced. The boot stops are delivered at a default setting that accommodates roughly 80% of the boots on the market. Changes to the standard settings can be made when the bindings are mounted. 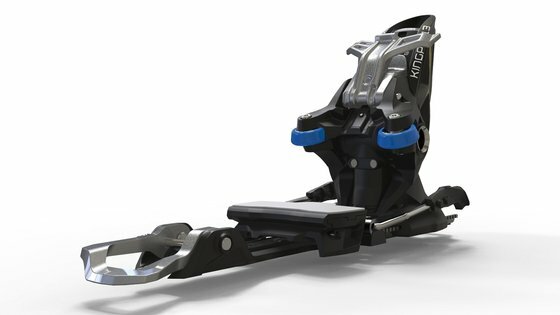 Updated Toe  These bindings have updated toe pieces from Marker and are not affected by the August, 2018 recall. Kingpin Heel | XXL Power Transmitter  The revolutionary heel construction has widely placed contact points to hold the boot heel on its outermost edge. This eliminates wobble when initiating turns and transmits power more smoothly to the ski. This is a huge benefit over other pintech binding designs that transmit power via two small metal pins positioned close to one another at the boot's heel, creating an unstable connection for power transfer. Kingpin Climbing Aids  Good climbing aids have one thing in common: Whatever the situation, they can be operated by feel, even when the skier can't see them clearly. Simplicity is a virtue here, and reduced exertion is even better. The Kingpin wins hearts and minds through two integrated climbing aids (7° and 13°) that are easily deployed or stowed using the basket of the pole. They can also be operated conveniently using the tip of the pole, allowing them to work with any basket style. Because the climbing aids are positioned in the upper center of the heel piece, they are always easy to reach. Easy Access Tour Mode  The heelpiece of the Kingpin binding slides into touring mode by moving the lever at midfoot. Brakes stay deployed until you take the first step and depress the anti-friction pad, lessening the chance of losing a ski. Non-ISO 9523 Soles  Shortened AT boot soles that do not meet the ISO 9523 spec for heel depth may sometimes be usable with the addition of the Marker Kingpin TLT Adapter (a fitting that attaches to the heel of your boot). Consult a certified shop technician for specific compatibility issues. Wide Footprint for Improved Power Transmission  A wide 38 mm mounting pattern provides better leverage and superior power transmission. 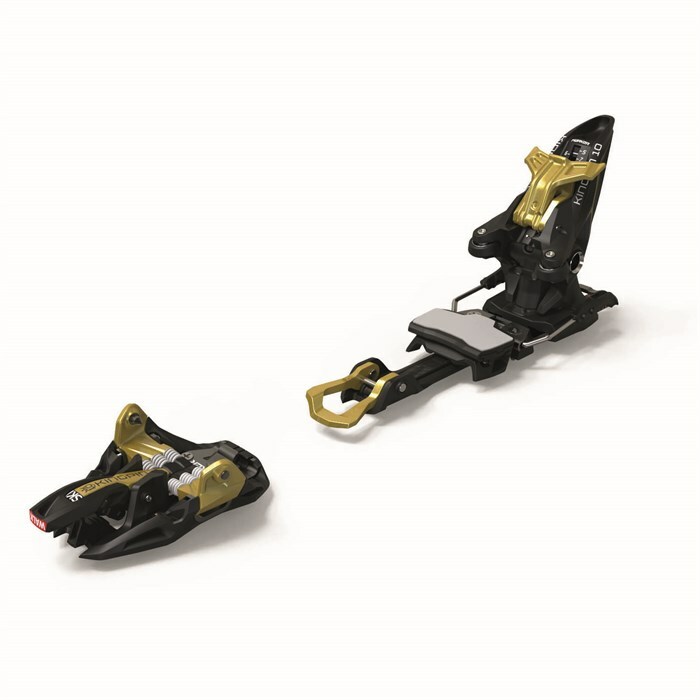 Ski Crampons Available Separately  Crampons slide into position at the base of the Kingpin toepiece and are available in widths of 90, 105 and 120 mm. 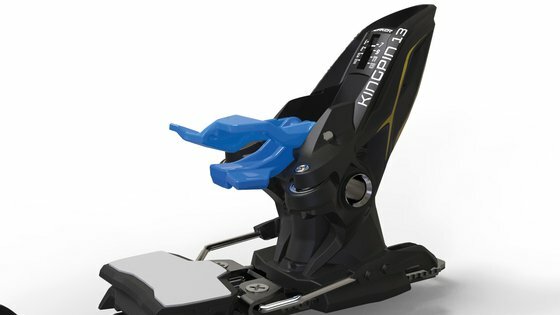 DIN / ISO 13992:2007 Certified  The Marker Kingpin is one of only a few tech touring bindings to have passed the ISO/DIN 13992 standard.